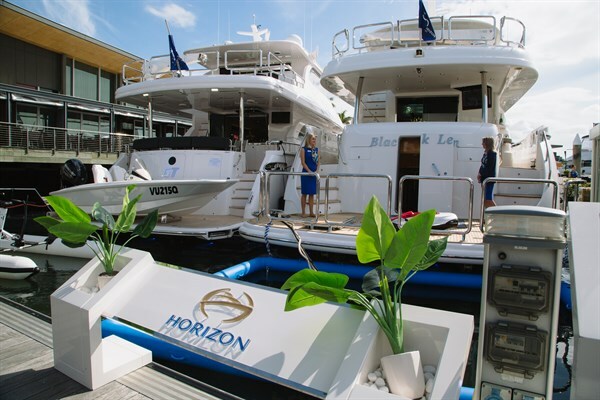 That headline might be a part lie, the weather was not perfect every day but like a day in the sun, the success of the 30th Sanctuary Cove International Boat Show certainly put smiles on a lot of faces. This year was always going to be a big one and not only as it was the 30th anniversary but also on the momentum the highly successful 2017 show. This year the show had no clashes and saw the return of industry heavyweights and iconic brand Riviera. 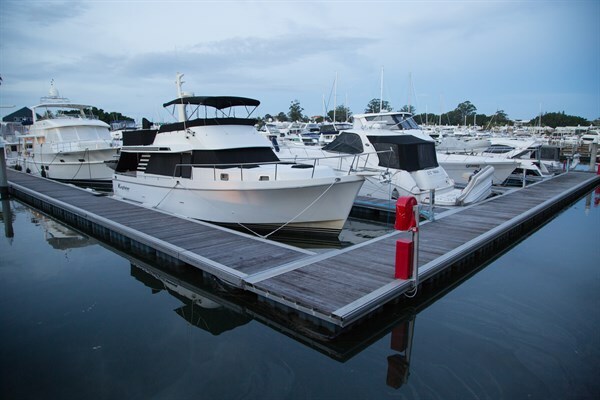 Although they ran their impressive Festival Of Boating back at their Coomera HQ, the volume of Riv hats doing the rounds indicated a large portion of the owners-only Festival made it down to the docks. We took a good look at the new-release 395 SUV and quizzed a few onlookers and industry people on their thoughts. They shared ours, it feels bigger than the 40 feet the spec sheet suggests. This is partly down to clever space use, excellent light through large windows and to its wide beam. I expect it will be a highly successful model and am genuinely interested in how its sister ship, the 40 Motor Yacht, due to be released later this year will go. With the addition of the flybridge, it will only add to the spaciousness and appeal. Also on debut was the 72 SMY which dominated the docks angled to the main walkways. The silver roofline and sheerline looked amazing in the bright sun. Onboard was very familiar as Trade-a-Boat and myself have had the pleasure of being aboard its sister model, the 68SMY. Like all Riv’s it is a classy affair and very contemporary but never leaving its driver-centric, ocean credibility behind. Riviera owner said the Show had been very rewarding. "The SCIBS team has been very welcoming and very supportive. The Riviera family too are proud to see us back on the water and showcasing our latest product. The response to the 395 and the Riviera 72 Sports Motor Yacht has been overwhelming." Maritimo are a favourite of ours, they always extend a welcoming smile and offer time to sample what they do but this year we were a bit behind the game having not been aboard either of the two new releases, the X60 and S70. We had however been on the prototypes at the factory late last year and again this year. The outcomes were a big step up on what we knew then were some great ideas seen during development. A sedan with a twist, the X60 uses the space left available behind the centre-mounted power units to full effect as a rear lounge or VIP suite. Both layouts feature a separate head and plenty of storage but the pièce de résistance is the upwards opening boot which opens to reveal the full majesty of the ocean. With the water line well above the floor height it feels like you are in the ocean, I imagine it as one of the most peaceful places to be moored overlooking your favourite bay. The team saw significant success during the shows’ four days with a reported total sales exceeding $37m and more to come. 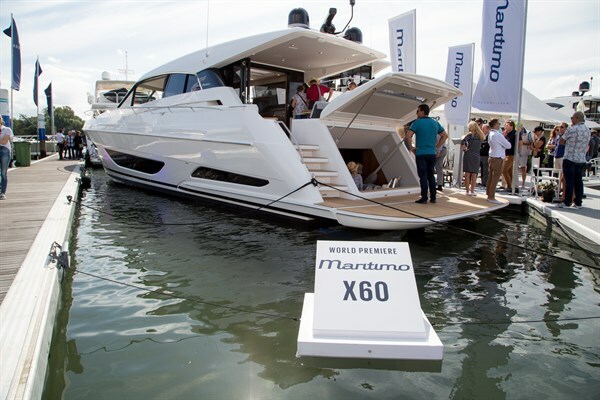 Maritimo CEO Garth Corbitt told us "The world premiere of the X60 sports yacht has drawn huge attention to Maritimo and sales have just flowed throughout the whole show. We have numerous factory tours planned for the coming week with prospective buyers and I’m confident that our total sales from the show will move even further ahead"
"There were multiple X60 sales following its world premiere on Thursday," he said. Further down the pier was Bill Barry-Cotters personal S70, a sedan version of his last boat the M70, a boat well known to the team here. Bill’s S70 looked great in person and we hope to be aboard for a full review in the coming issues. 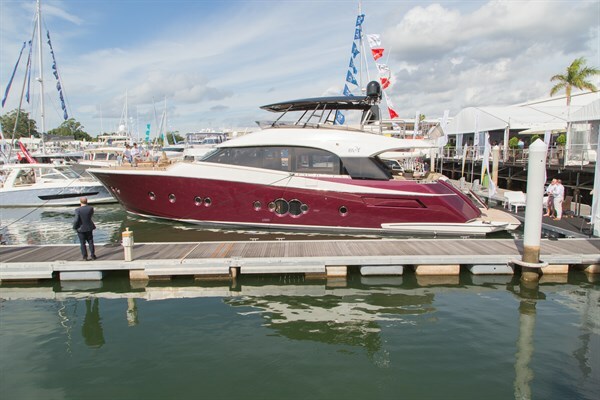 Organisers said 2018 was one of the biggest Shows yet, with 180 boats on water and 275 boats on land across The Marine Village precincts, along with more than 300 individual exhibitors on Show. In total a reported 45,866 people came through the gates representing an increase of ten percent. Across from Maritimo was the ever-popular and well displayed Integrity Motor Yachts managed by General Manager Peter Pembroke. "Integrity appeals to a different market, and was also very well received, particularly the new generation models. We have sold the Integrity 320 Express and 380 Sedan models, and are confident of further sales in the coming weeks" said Pembroke. The Multihull Group saw great success in selling close to $5m in new Lagoon catamarans including a new 62. Managing director John Cowpe said the team was extremely happy with the result. Show darlings and long time resident of Sanctuary Cove, Horizon, had another good year with the sale of a new-build E75 representing $5m in revenue for the office. Their display was again one of sophistication and elegance cornered in a prime spot near the restaurant precinct. Further along the boardwalks two brands with exceptional displays and new product were Clipper and Grand Banks / Palm Beach. The former recording a reported $3m in sales of new Hudson Bay vessels while the Mark Richardson lead Grand Banks / Palm Beach gave the new and recently reviewed (issue #503) Palm Beach 65 Flybridge the red carpet treatment. 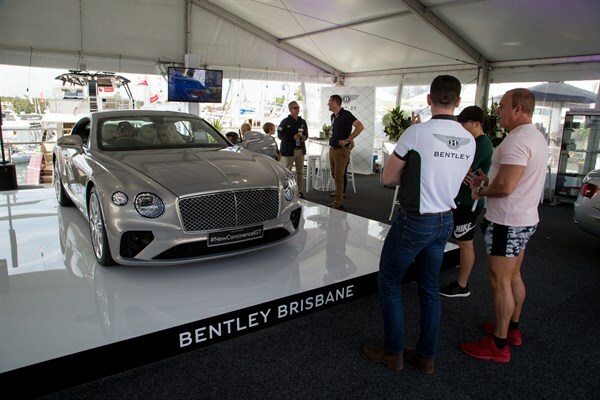 Off the water there was also plenty of success with Major sponsor Bentley Brisbane signing up six new Lamborghini and three of the new Bentley Continental GT. Porsche displayed a rare and crowd capturing 911 GT2 RS while taking orders on more mundane, if you can call any Porsche mundane, models. In The Pavilions there was an air of electricity with major brands among the best chandleries in Queensland. 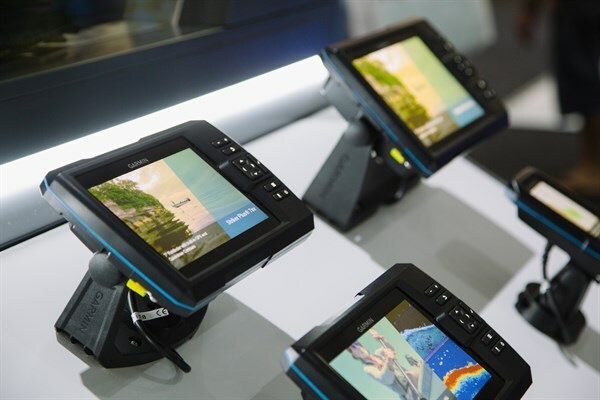 Plenty was on display and for sale with Chris Radford, director of sales from Simrad, Lowrance and B&G particularly happy saying, "It does have that feel of the old Sanctuary Cove Boat Show back again, so we’re really happy with the numbers and the quality of the people that have come through," he said. The 31st annual SCIBS will be held on May 23 to 26, 2019.